With the release of Glock’s 5th generation 17 and 19 polymer pistols, 2017 keeps getting better. This year has already proven itself to be one of the best for the firearms industry, and it just keeps improving. Besides for the continuously rising gun sales, we’ve has also been fortunate to see some pretty impressive and revolutionary additions to the market, especially among CCWs. As one of the world’s best-selling handguns, the new iteration of the Glock 19 is expected to send shockwaves throughout the weapons community. It’s been 7 years since Glock released their 17 and 19 Gen 4s, so you should expect some big changes. As a matter of fact, the Austrian firearms developer claims to have incorporated dozens of new additions and fixes into these extremely popular 9mm handguns. For one reason or another, these 9mm Glocks have become the prototypical handgun. While there is no such thing as a truly universal gun that appeals to every shooter, the Glock 17 & 19 are as close to it as possible. As some of the most well-rounded pistols the market has to offer, it’s no wonder why they’ve become so popular. One of the biggest reasons civilians across the globe choose Glock can easily be attributed to their renowned dependability. The confidence-inspiring Glocks have a reputation of trust, reliability, and ergonomics; and it definitely doesn’t hurt that they are the handgun of choice for dozens of military and law enforcement personnel including the FBI, DEA, and LAPD. Now it’s time that we take a closer look at these new Glock upgrades and see if the critically-acclaimed firearms manufacturer managed to maintain their familiar feel while simultaneously revamping their trademark pistols. 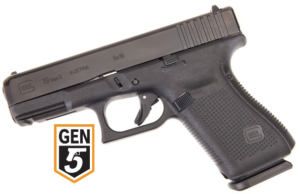 While the Glock 17 and 19 may look just like you’re standard mid-level handguns, fans of these Glocks will claim to notice the dozens of nuanced updates on the Generation 5s. One of the most noticeable differences on the G5 is the new grip – Glock finally decided to ditch the finger grooves at the behest of their committed fan base. While I love a good stippled grip, there’s something special about the custom-feel of finger grooves. Nevertheless, because no two shooters are the same, I understand their bold move. On the bright side, you can easily pick up a full-size (finger groove) grip sleeve from Hogue for a reasonable $10! 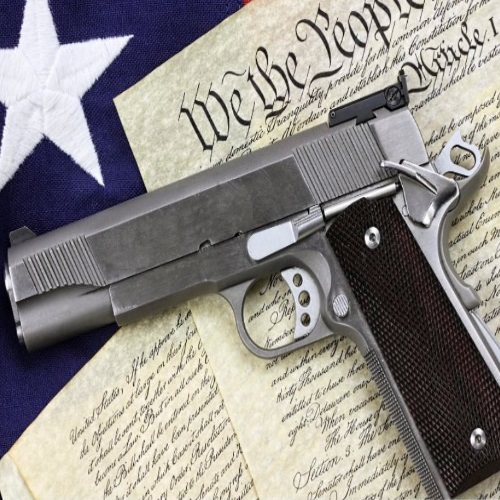 The next major adjustment for the Generation 5 was in response to the countless number of people employing the 17/19 for home-defense and law enforcement. For those critical moments where every second counts, Glock felt it necessary to add a flared mag-well to the Generation 5, ultimately shaving off crucial reload time. 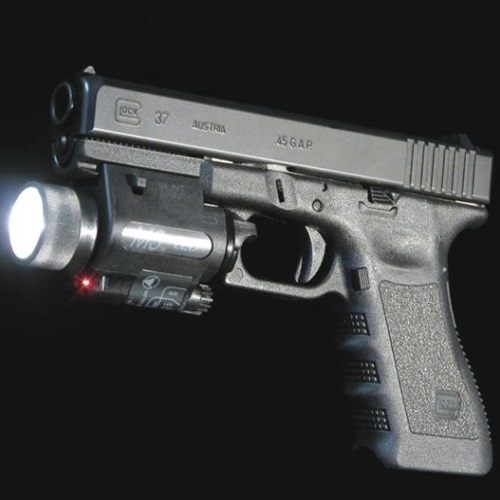 I really don’t understand Glock on this one considering that the 17 and 19 already have pretty high capacities – it just seems a bit excessive to redesign their tried and true handguns because of this. Without getting into it too much, flared mag-wells can be tricky, mostly because they make it that much harder to properly conceal your firearm. On a more positive note, the 5th generation Glocks will finally feature ambidextrous slide stop levers (what took so long?!) but no other default lefty-friendly controls. However, they do offer a reversible mag release, but it will take some tinkering to fix. In this department, Glock is seriously behind the times – a big demerit for their overall versatility. Additionally, after examining the Glock 17 Gen 4 vs. Gen 5 and the Glock 19 Gen 4 vs. Gen 5, I got the impression that many of these “updates” were more about being new not necessarily about being better. For example, the popular semi-auto manufacturer opted for a two pin system instead of the more traditional single locking block pin in addition to giving the new guns more rounded front ends. The next issue I have yet to confirm, but I still have my suspicions nonetheless. 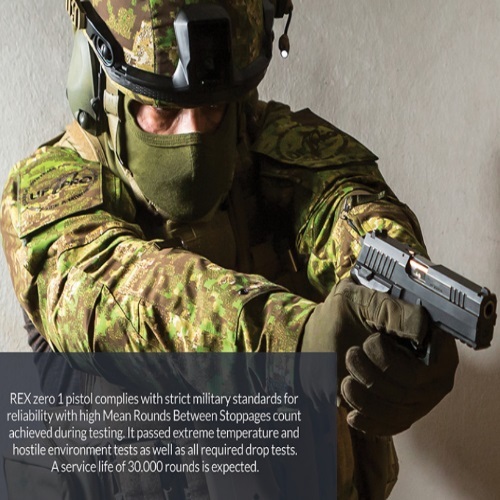 Glock claims that the Gen 5 pistols feature the “all-new Glock Marksman Barrel” (GMB) which significantly boost accuracy due to their superior rifling. That being said, both Gen 4 and Gen 5 Glocks feature hexagonal rifled barrels with 9.84” right hand twists – so how much did they actually change? 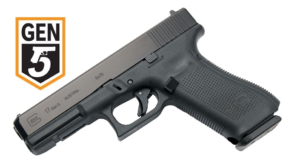 Although the Glock 19 (and 17) has kept its standard build and features without incorporating any radical modifications, their finishes are what set them apart. Over the course of what is now 5 generations, the increasingly popular semi-autos have seen a wide-variety of finishes, most of which included a post-production Tenifer treatment. I remember way back when the Gens 1 and 2 had decent Parkerized finishes, but now they’ve made it difficult to ascertain exactly what goes on. In general, I have major trust issues with Glock since they have a bad habit of keeping their finish details hush hush. Sure, the new Gen 5 Glocks are outfitted with their proprietary nDLC coating (nitride diamond-like carbon), but there’s not much more we know than that. Naturally, the Austrian firearms developer claims their new finish is as durable as ever and offers superior corrosion & rust protection, but there’s no real data to back that up yet. At the end of the day, I was really unimpressed with the builds on the “new and improved” Gen 5 Glocks – I can’t see why this is such a step-up from the Gen 4. Did the Glock 19 Gen 5 perform flawlessly? Yes – but so did the Gen 4, so I can’t see myself recommending any Gen 4 owner to “upgrade” for the new 2017 model. Some of the notable additions to the Gen 5 include a dual recoil spring and the aforementioned flared mag-well. This effective yet unnecessary component makes reloading faster and easier but may make concealed carrying tougher than expected, which could be a deal-breaker for some shooters. Furthermore, Glock spent a lot of time and money hyping up the dozens of enhancements to their newest generation of 9mm pistols, but many of these just seem irrelevant and insignificant. For example, they boasted a whole new level of rifling technology that produced a negligible improvement in accuracy at best. Don’t get me wrong, while these are still some of the best shooting handguns overall, I’m just unimpressed with the so-called updates. Glocks are still arguably some of the most dependable and accurate 9mms in the industry that are trusted world-wide for their reliability. One of the most impressive features on a Glock is its ultra-dependable double-stack magazine system. Besides for providing a higher capacity, these polymer-coated mags are also smaller and more durable than your run-of-the-mill version. Plus, as an added bonus, Glock magazines from their previous generations will fit in the Gen 5. If you still think that there isn’t anything which makes a Glock stand out, you haven’t witnessed their trigger and safety system. In addition to an integrated drop safety, they also feature industry-leading trigger and firing pin safeties, making them some of the safest on the market. However, a lot of shooters, like myself, stubbornly avoid these triggers like the plague. The trigger safety lever, which is incorporated into the trigger itself, just gives it a strange look and feel. But at the end of the day, safety does come first. On the plus side, this internal safety feature does not at all impede your follow-up shots, as many would lead you to believe. In fact, the Safe Action System on Glocks enables the shooter to fire consecutive rounds without having to fully release the trigger. This European engineering feat allows the trigger to (noticeably) reset without having to be completely disengaged, but will automatically reset all three safeties once the trigger has returned to the forward position. So you may have caught on that I don’t love the Gen 5 17 or 19 so much, but I still have a tremendous respect for these weapons and Glock as a whole. If you’re in the market for a new CCW or just looking for an alternative to the mainstream Glocks, boy do I have some great guns to recommend. (I will do my best to stay true to 9mm, semi-compact frame, and price range for my recommendations.) First and foremost, I gotta mention the Smith and Wesson M&P9 Shield – I know dozens of guys who carry these daily and couldn’t be happier. Similarly, I recently went to Springfield Armory and was blown away by some of their new handguns, especially the 9mm XDE. Like the S&W, the single-stack Springfield is almost as classically beautiful as it is reliable and accurate – either way, you won’t be disappointed. If you’re adamant about this level of quality but don’t want to pay for the name behind the gun, then check out Taurus. Many folks would question the quality of a $300 pistol, but Taurus is different – they’ve managed to replicate American-excellence while manufacturing their products in South America, ultimately keeping their price tags way down. 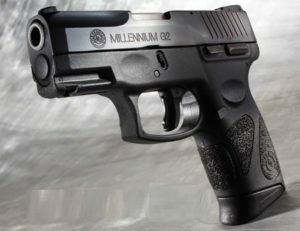 Their best handgun is probably the lightweight and highly-concealable Millennium G2. Glocks obviously aren’t going anywhere anytime soon. For a company with such an excellent reputation for quality and innovation, I was shocked when I first got my hands on the new Gen 5 17 and 19 models. Don’t get me wrong, these are still great firearms that most people would be happy to own, but to wait 7 years for them is just disappointing. Enjoyed reading you review. While i’ve Only shot a hand full of Glock gen fives, I thought they were pretty good, mostly in the grip and trigger. I started shooting Glocks about 1997 when I was issued one. I was suspicious at first, but, have been carrying them ever since. My department has purchases H&K, Berretas and two Sigs. Lucky for me we have an option of what to carry, I like the Glock 17 and 26. Most recently, we are approved to carry Sig 320’s. Again, I am skeptical, two have broken so far…my Glocks, maybe not the flavor of the month, both with tens of thousands of rounds through each, soldier on! Hi, Thanks for reaching out – I appreciate your honesty and experience. In terms of their performance, there’s absolutely nothing wrong with Glocks, which is why they’re so popular for service firearms. Nonetheless, I never really fell in love with them outside of their dependability (which is no small matter). For the most part, it’s just my stubbornness and personal taste why I don’t prefer Glocks.